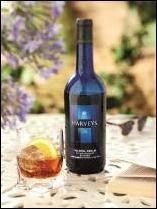 Harveys is actually a really lovely tipple – light on the palate and yet with a luxurious creaminess, I could see it being used in a variety of cocktails or simply served on the rocks (which is exactly how I enjoyed it the other evening). Photo courtesy of Focus PR. 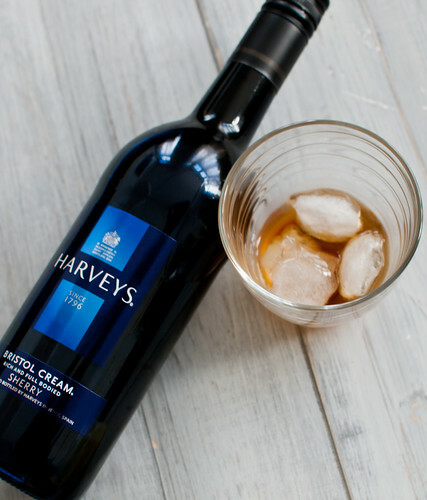 The simplest of serves, Harveys over ice with a slice of orange brings out the taste of candied orange and perfectly complements the dried fruit and toasted almond flavours of this delicious sherry. 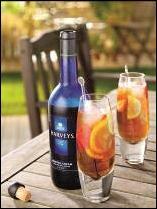 A glass of Harveys topped up with lemonade and filled with vibrant fruit is a refreshing way to wind down after a long day. Harveys frosted apple and ginger is bursting with effervescent flavours and is great to mix in a punch bowl to share with friends. For more ideas and inspiration, visit the website at Harveys Half Hour. So those are a few things you can try if you’re after a slightly different cocktail but of course I had to try something a little different. Y’see, recently when I saw my darling friend Regula for dinner in town, she brought me what she called, “Belgium in a bag” – a bar of special chocolate and a jar of Artisan speculoospasta, a spread made from the ever popular speculoos cookies. It’s delicious and rich and creamy and all I wanted to do was spoon it into my mouth straight from the jar… but perhaps I should try something a little more classy? So I decided to make vanilla ice-cream with a swirl of speculoospasta and a shot of Harveys. If using a hand or electric churner, be sure to follow the instructions – does it need any parts freezing overnight? My one needs the body frozen for at least 8 hours, so be prepared and do this the day before. I’d also advise making the custard the night before and letting it chill in the fridge overnight. 1. Using a sharp knife, cut the vanilla bean in half lengthwise then scrape out the seeds with the tip of the knife. Combine the bean, seeds, cream, milk, 60 g + 2 tbsps caster sugar, corn syrup and salt in a medium saucepan and heat over a medium-high heat, stirring occasionally until all the ingredients are combined and the mixture has reached 80 degrees C (should be about 5-10 mins). When it has reached this temperature, remove it from the heat and allow to cool slightly. 2. Meanwhile, whisk the yolks and remaining 60g sugar in a bowl with an electric whisk until smooth (about 30 secs), then slowly whisk in the slightly cooled cream mixture. Return to the pan and cook over medium-low heat, stirring constantly, until the mixture thickens and registers 82 degrees C. If your mixture curdles you can save it by quickly straining it into a clean bowl set over ice, then whisking as hard as you can either by hand or with an electric whisk until smooth. Once you have a smooth custard, strain it again through a fine-mesh strainer into a large clean bowl, discarding any remaining bits in the strainer. Add the vanilla extract and stir well to combine. Let the custard cool to room temperature then cover with clingfilm and refrigerate overnight. 3. The next day, remove the custard from the fridge and transfer to your ice-cream machine. 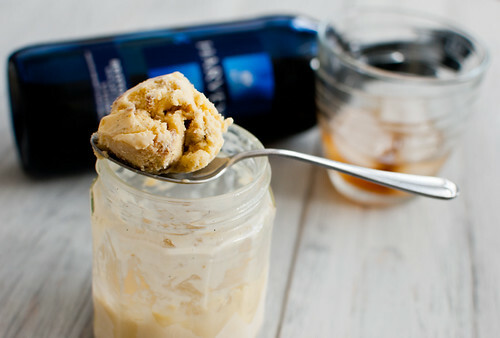 Follow the instructions to churn and, after about 20 mins, add the shot of Harveys Bristol Cream. When the ice-cream has reached the consistency of soft serve, transfer into the jars. Create the speculoospasta swirl by filling it up about a third of the way with the ice-cream, then layering a couple of tablespoons of the speculoospasta on top. Repeat until the jar is full (making sure to finish with an ice-cream layer – you should have ice-cream, speculoospasta, ice-cream, speculoospasta, ice-cream). 4. Close the lid tightly and freeze until completely frozen. 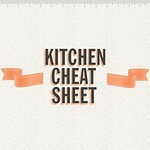 So there you go, a few cocktail recipes and an ice-cream recipe from me. This ice-cream goes amazingly well with pie and, according to my housemates, “tastes like Christmas”. We enjoyed it with many of the summer fruit pies I’ve been making over the past month – you should try it out and let me know what you think. Please note: though the Harveys Bristol Cream sample bottle was provided by Focus PR, no monetary compensation was received and all opinions are my own. 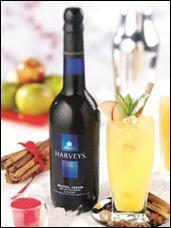 Harveys Bristol Cream (75cl RRP £9.22) is widely available across the UK.